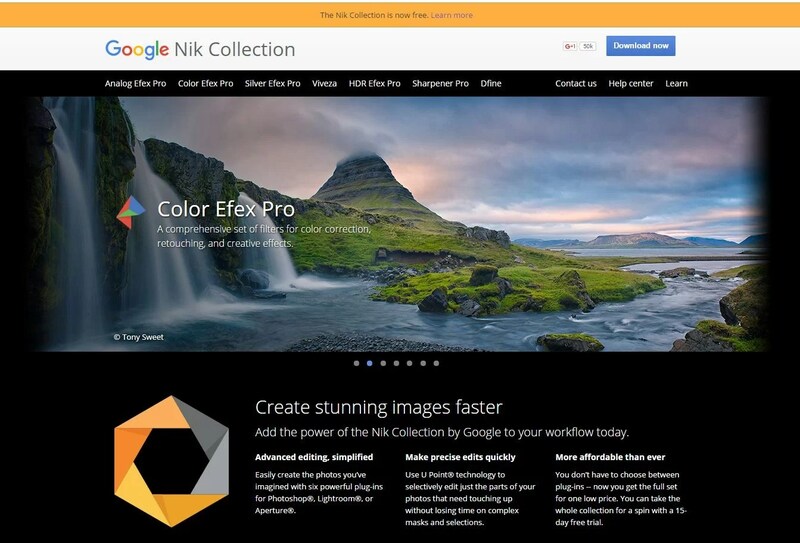 Google announced that its $149 suite photo editing plugins, the Nik Collection, is now totally free to download. the Nik Collection also work as a plugin in Adobe Photoshop, Lightroom, and Aperture, the Nik Collection encompasses a set of precision filters for color correction and beautification, a darkroom-inspired module for perfecting the black-and-white photo, and an effects suite that adds the look and feel of different film cameras. While these plugins are limited to desktop software, downloading them is an easy way to amp up your Instagram game, as long as you don’t mind shuffling them between your phone and computer. The Nik Collection includes Analog Efex Pro, Color Efex Pro, Silver Efex Pro, Viveza, HDR Efex Pro, Sharpener Pro, and Dfine. Anyone who bought the collection in 2016 will be refunded. Grab the whole suite here.